Barcelona, Spain. 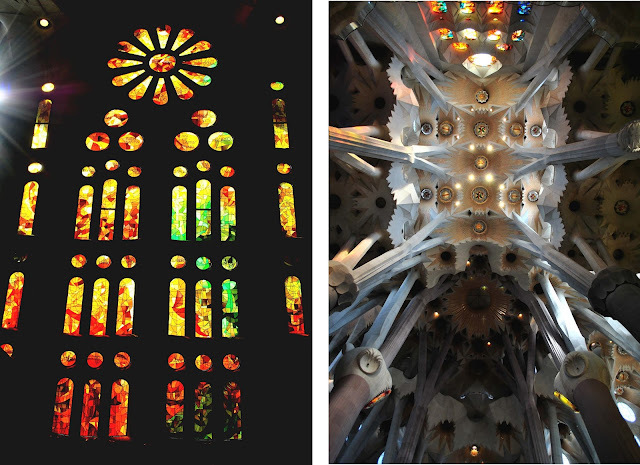 A city full of geometries and color coming to life from the work of architect, Antoni Gaudi. 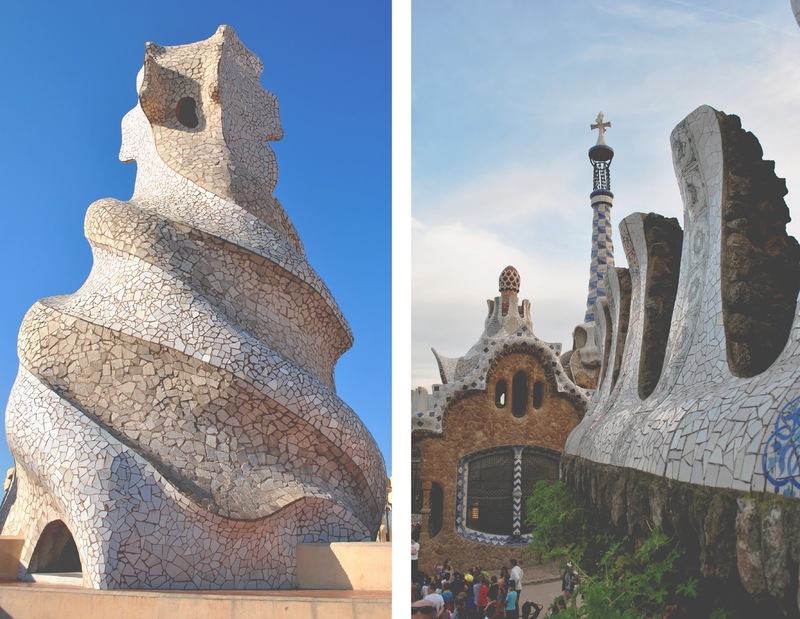 A Catalan architect who took the organic forms he studied while spending time in nature and fused them into his designs. Gaudi often found solutions to the problems he was having with his buildings during his long hikes through the mountains and country side. From seaweed to flowers and animals, Gaudi used these elements of nature as decoration or as a structural design in his buildings. Walking through the rooms at Casa Mila, looking up at the blossoming ceiling of Sagrada Familia or overlooking Barcelona and the Mediterranean ocean from Park Guell, Gaudi’s spirit is alive in every detail.If only I had Gaudi by my side while exploring foreign cities or hiking new terrain in South Korea or St Lucia. Nothing I write will do Gaudi’s work justice, so below are my photos from my trip to Barcelona in fall 2013. 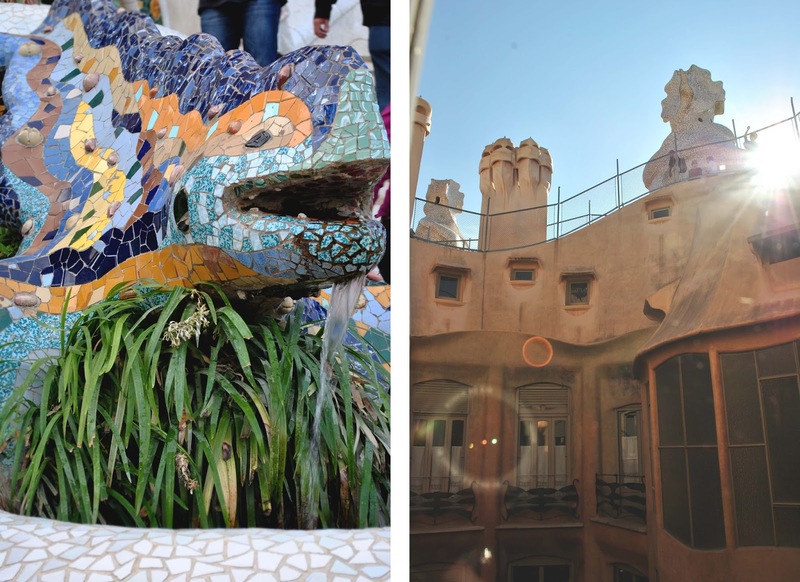 While studying abroad in Paris our class took a week long trip to Barcelona to soak in the Catalan culture and Gaudi’s master pieces. With the cold winter days in Chicago, I enjoyed reminiscing about my time in warm sunny Barcelona and I hope my next Gaudi filled adventure is in 2026 when his Sagrada Familia is completed. 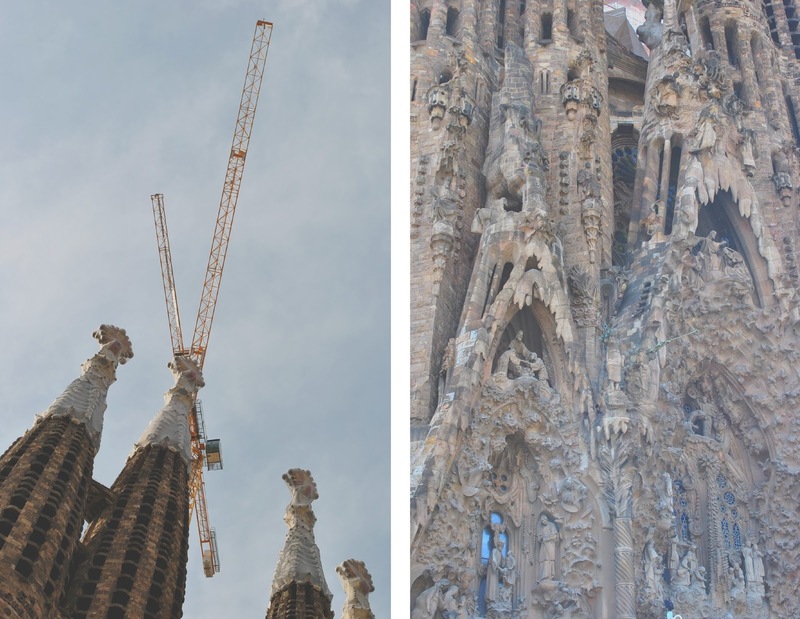 Check out more on the completion and opening of Sagrada Familia and Gaudi's life here. You definitely have done quite a good job at capturing the beauty of Gaudi's work! 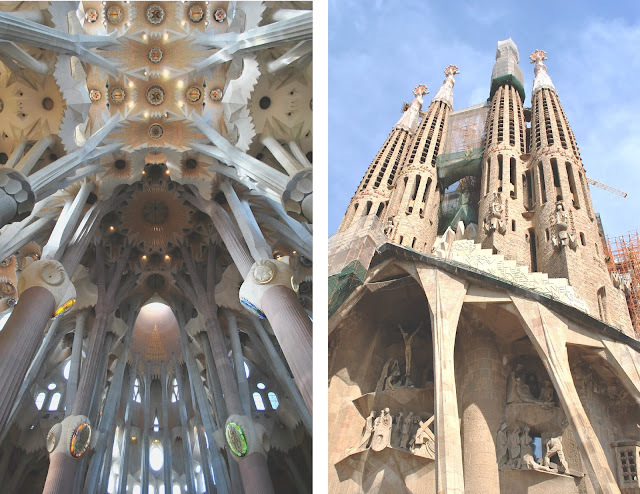 I really want to visit Bercelona so badly mainly just to get to experience his architecture in person - especially want to view the ceiling of the Sagrada Familia in person! Oh my goodness!! These are absolutely stunning shots! I love how unique & stunning Gaudi's works are. You've captured the beauty so well!